I have good news and bad news. The bad news is, summer is almost over. The good news is The Rise never stops and we continue to be awesome every Monday, Wednesday and Friday. Since my last post, our gear has gotten even more awesome and we did an INSANE Labor for Labor Day Challenge. Last month, we completed our first batch of screen printed shirts. Our talented screen printers worked through the night to make some great shirts. We’ll be making more shirts throughout the year. Just like my fellow Risers, these shirts are waterproof, weatherproof and every-thing proof. 4. Complete a Murph workout (run a mile, do 100 pull ups, 200 push ups, 300 squats, and the run another mile). 5. Complete a track workout. It was amazing and inspiring to see such dedication and effort! 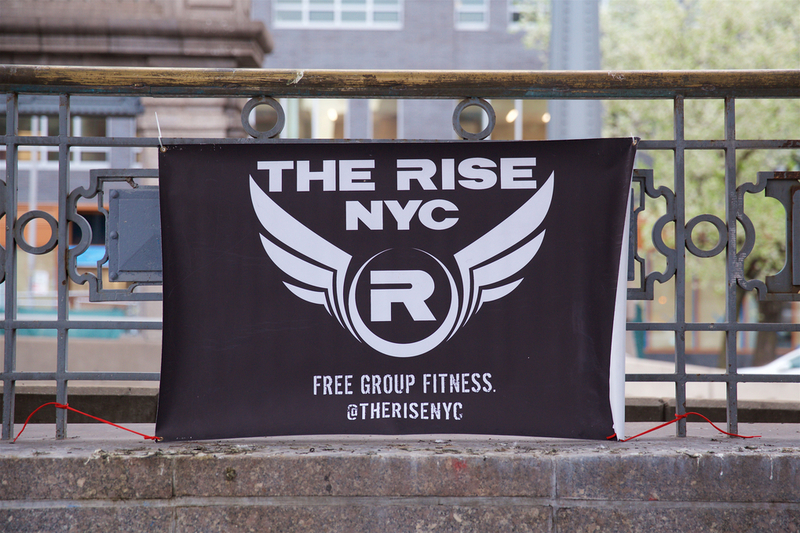 There has never been a better time to start working out with The Rise. The Fall is almost here, so turn over a new leaf and join us!